Feeling sorry for using language that was not clear, photo-sharing site Instagram apologized over the phrasing of its new Terms of Service. Certain phrases in the revised ToS led many to believe that Instagram was planning on selling user's pictures to corporations and organizations for use on advertisements and would keep all of the compensation. Instead, co-founder and CEO Kevin Systrom said that the intent of the changes was to tell users that the site was planning on experimenting with innovative forms of advertising. Systrom made it clear that Instagram is not planning on selling any of the photographs on its site to third parties without compensation. The site is owned by Facebook, which purchased Instagram in a deal originally valued at $1 billion. As a public company that is beholden to stockholders, Facebook is under some pressure to monetize Instagram to get some return on its investment. Systrom released a statement late Tuesday in which he spoke of his vision for the future, one where certain brands can advertise on Instagram and be featured. To the extent that an Instagram user might follow the brand, the user's photo could end up on the advertiser's page. 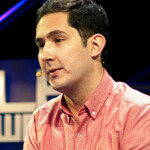 Systrom reiterated his dislike of advertising banners for the site. He also said that members own the rights to their photos and that the photo-sharing site holds no interest in them. Instagram said it is working on a easier to interpret ToS which will replace the one that caused the ruckus on Tuesday. "Instagram users own their content and Instagram does not claim any ownership rights over your photos. Nothing about this has changed. We respect that there are creative artists and hobbyists alike that pour their heart into creating beautiful photos, and we respect that your photos are your photos. Period." "Our intention in updating the terms was to communicate that we’d like to experiment with innovative advertising that feels appropriate on Instagram. Instead it was interpreted by many that we were going to sell your photos to others without any compensation. This is not true and it is our mistake that this language is confusing. To be clear: it is not our intention to sell your photos. We are working on updated language in the terms to make sure this is clear." I've never understood the point of Instagram. Photos? Facebook does that. Twitter and status updates? Facebook does that. Whats next? A new website that lets users private message only? I'm sure that'll be the next big thing. I'm STILL trying to get the point of them when facebook does each. heck I see ppls status on facebook attached to twitter so whats the point??? @tigermcm #you #can't #argue #facebook I even felt bad for writing that, that's just plain dumb. I still don't get the point of this. well, to my observation instagram concentrates on pictures more! and with those filters etc etc.... facebook is general... and twitter is microblogging..but will also make something that is instagram-ish and tumblr-ish! filters? LOL! Facebook could have added that. Mostly all smartphones have sets of filters already inside the stock photo editor. Instagram is useless and only stupid people find use in it. Same with Twitter. well instagram and twitter are made for celeb (but more on twitter) coz atleast their fans know what they are doing! and its easy to follow than to send a friend request! Still leaves a bad taste in my mouth, wont look at them the same again. And people accuse Google for selling users data. Google sells the data without users' identities, and here FB tried to sell users identities, that's huge difference. I think it was just a huge overreach on the ToS. Nothing like an about-face. I wonder how many users remain on Instagram? Power to the people. I'm just glad I never used Instagram... Won't have to worry about their ToS BS. i dont think anybody misunderstood or instagram made mistake in the explaniton.they said they would sell the users photos without any compensation.period.After this they got a huge reaction from users and had to step back.end of story. wow so i wonder if what i was saying earlier sounds dumb now.....whatever glad that they handled this in a mature and "honest" way..............Cuz remeber if you lose ur users, you will certainly LOSE you company! nice try. if no one protest about this rule then they would be making lots of money at other people's expense. Another case of saying what you intended and SURPRISE! being caught out at it. Like Romney during the election and kind of like the NRA's statement - The National Rifle Association has broken its silence on the mass school shooting in Newtown, Conn., saying it is ready to “offer meaningful contributions” to the effort to make sure there are no more incidents like the one in which 20-year-old Adam Lanza used an assault rifle to kill 27 people before killing himself. Their solution is probably to arm everyone. And we all know people who shouldn't have a gun when they're sober, let alone under-the-influence.